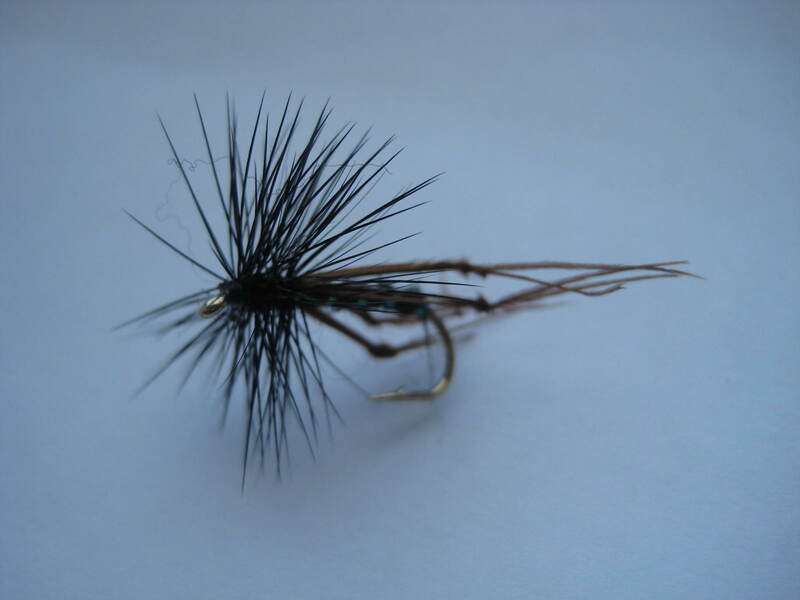 Tips: It is not unusual for anglers to fish the black hopper as a wet fly on any line from a floater to fast sinker. 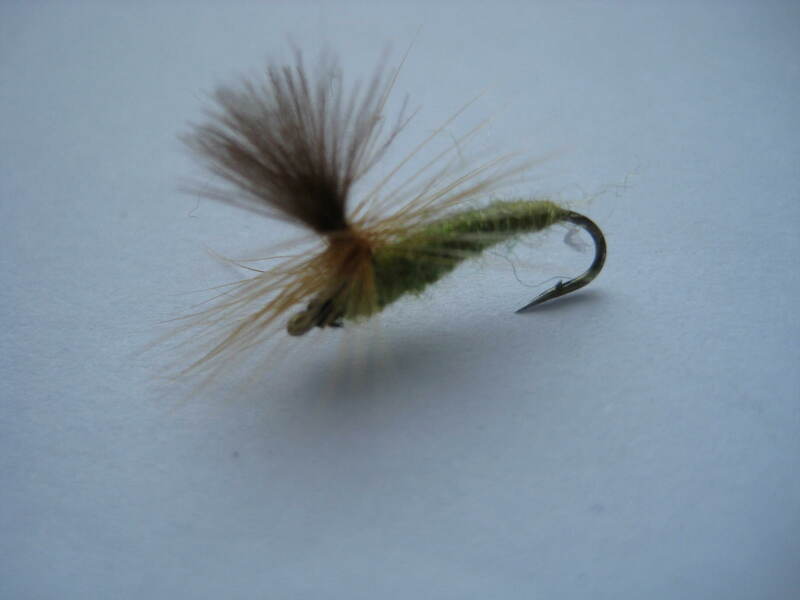 Count to three before striking, and the fish will be well and truly hooked! 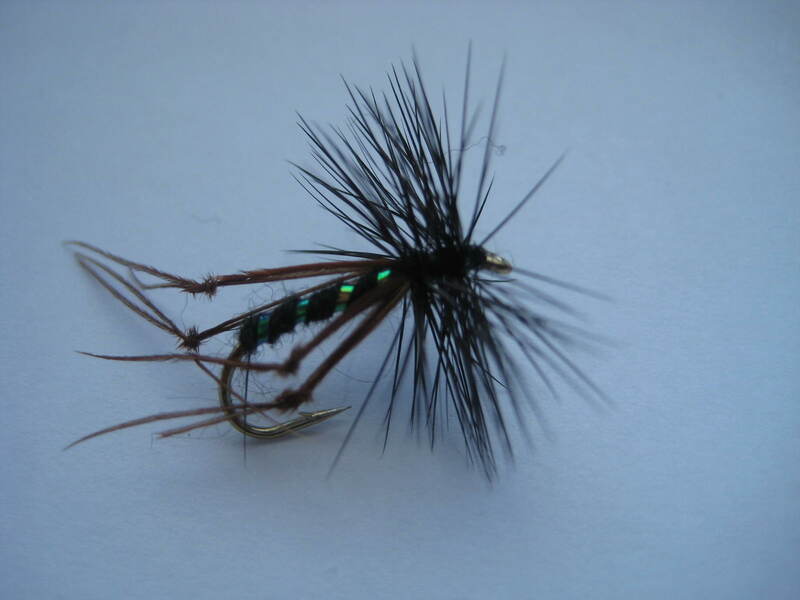 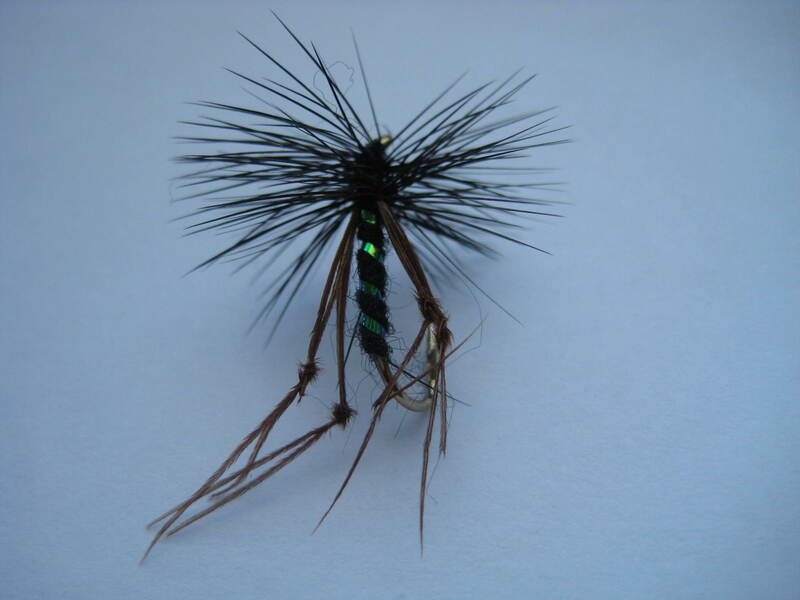 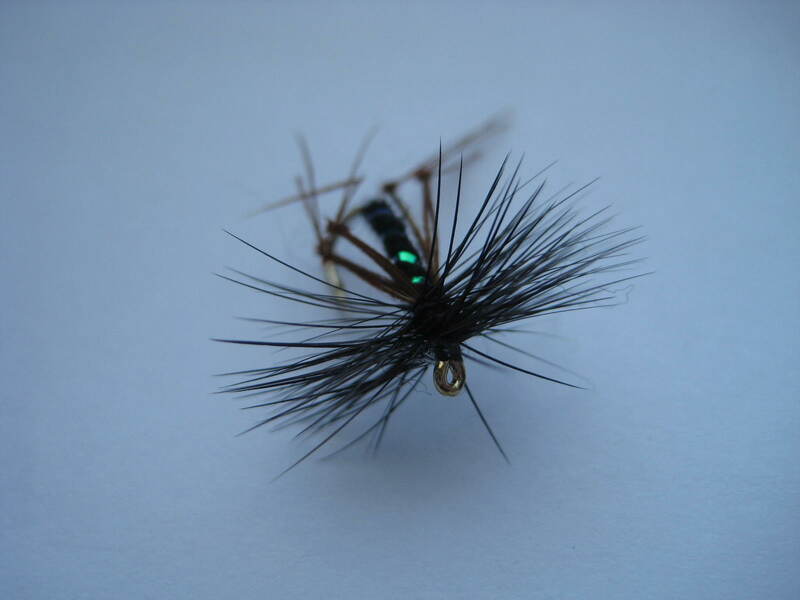 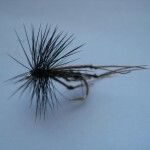 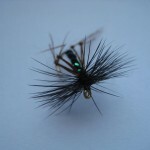 The black hopper is an excellent general purpose still water dry fly. 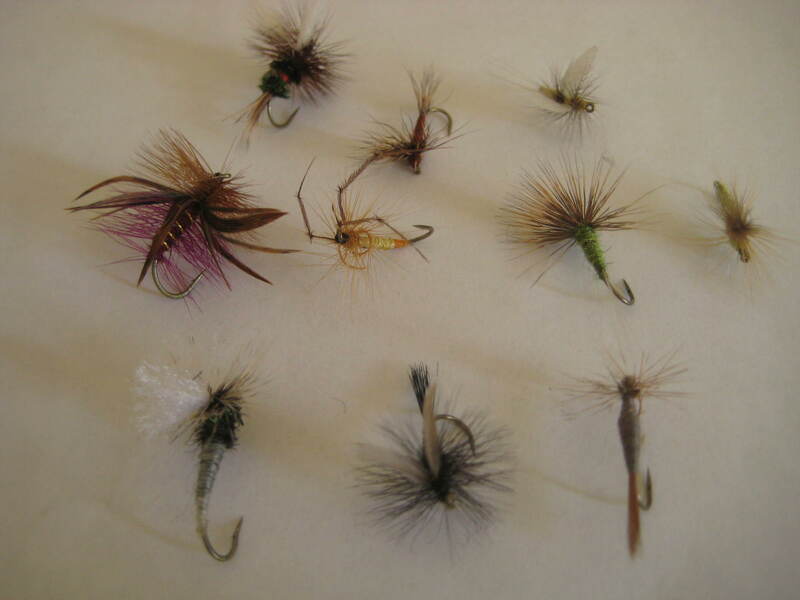 However, fishing the hopper requires a leap of faith for most fly fishers The Hopper will fish deep in the surface film, often hanging by Surface Tension right underneath it, and this is exactly where you want them. 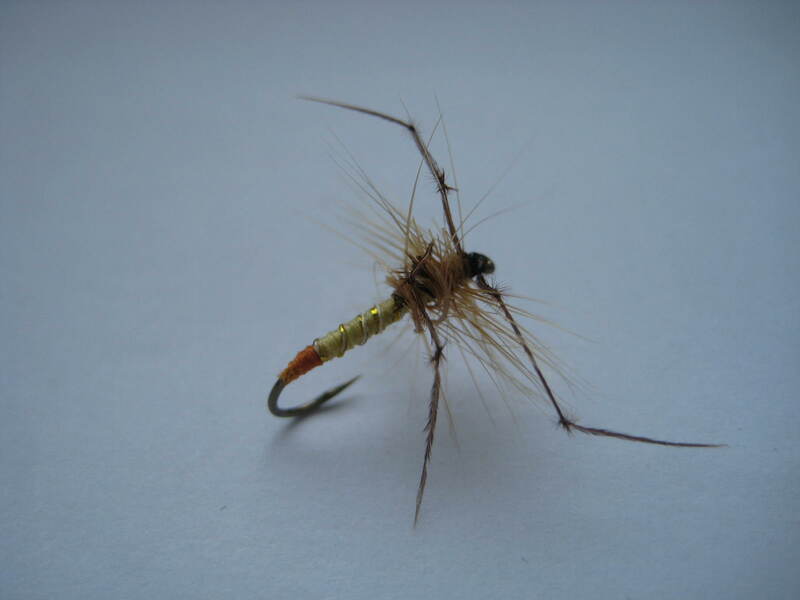 Not many splashy takes with these flies, just nice confident slurps from Brown Trout. 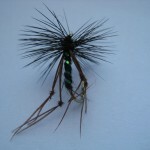 The addition of the mobile legs provides some added attraction when retrieved. 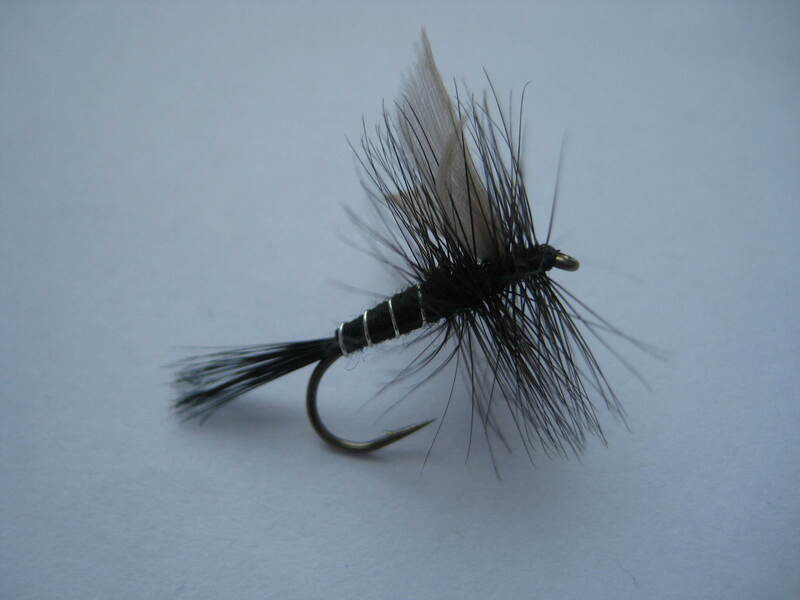 It`s very useful in the latter half of the season when small daddies are on the water.